There are many challenges in the day of the contact center manager. This short list of problems is just some of the challenges a manager faces. Reporting tools may solve or at a minimum reduce the impact of these challenges. 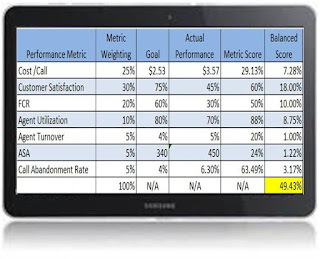 Performance Measurement is the aggregated report detailing the agent and contact center performance across multiple channels. The contact center is in contact with the customer through voice, email, chat, customer service tickets and outbound calls. The agent and contact center maybe handling the voice well but lacks in other areas. Managers need to know which specific area the contact center, group and agent are not performing well, are meeting and exceeding goals and seeing the change in contact trends. 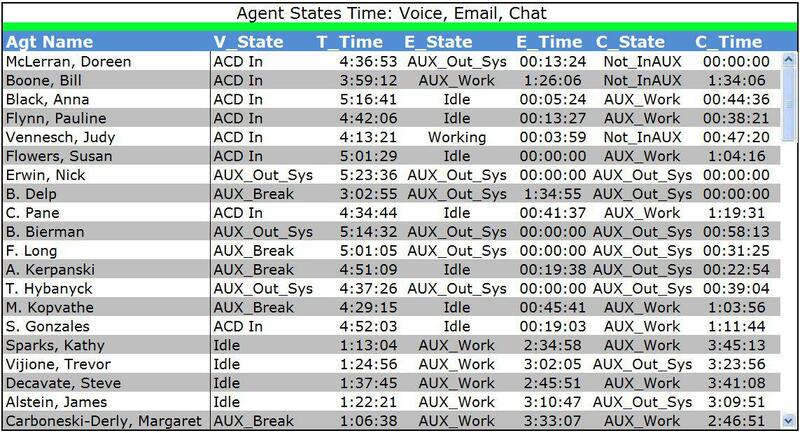 For example this report combines Voice, Email and Chat state time. 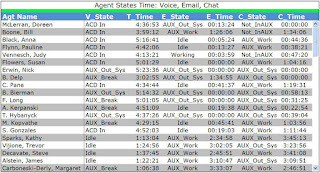 There are some agents doing more on Voice then email or chat. However, not seen on this image, is the total time for voice, email and chat. This contact center customer contact is about half voice, one third email and the rest chat. Comparing this trend to email and chat from the previous year the voice contact has dropped considerably. This call center manager is watching the customer contact trends and is keeping agents trained and coached so the contact trend is handled with good customer service. One concern for this manager is the agents inability to communicate accurately with the customer. Product / services awareness is an on-going challenge within the contact center. New products, advertisements, services, customer service rules, to name just a few are brought to the attention of the agent. It is then the responsibility of the agent to maintain that knowledge and be able to communicate with customers accurately and timely. To be fair, an agent has many tasks and having to be aware of frequent changes is difficult. 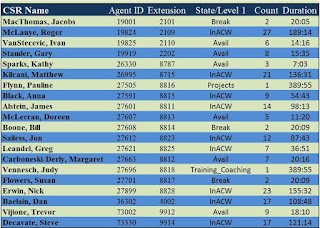 A contact center LCD screen with the appropriate group level details will help the agent when working with a customer. In this example VIP customers were scheduled to book rooms and agents were to remember this customers name, spelling and business. This allowed the agent to react faster to the customer requests. There are many examples of agent brand awareness either helping or hurting the contact center business. Agents receive a document alerting them of a change or they go through a 30 minute product/service introduction and now they are supposed to know it all. Keeping them aware by displaying that content helps them remember. Goal adherence is not an easy metric to keep track of. Managers can keep track of calls accepted, abandonment rates and service levels, but what about the goals for the interval or the day? Managers need to be aware of the agent state they are in for all states they can be in for the day or week. 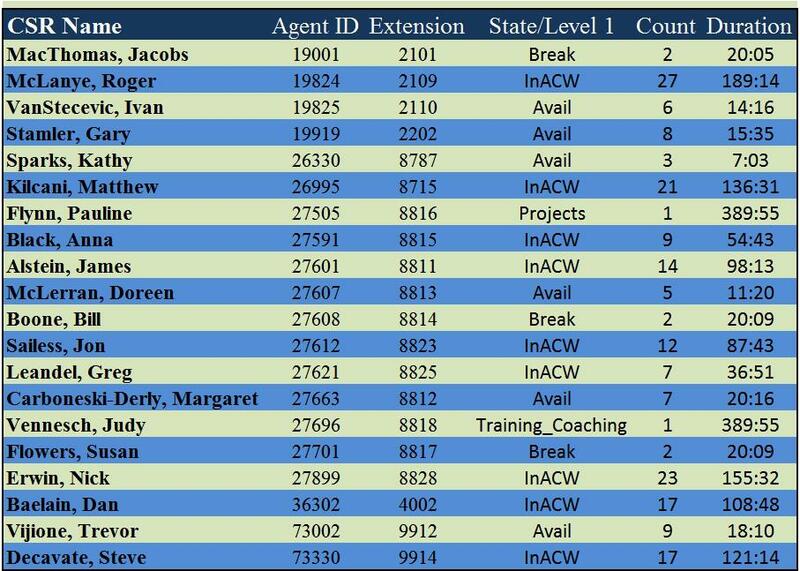 How many times have they been in ACW above the goal for each call and what amount of time have they been above that goal? Being aware of these goal variances (count and duration) provides the manager with agents work methods and tactics. We often talk about trends in our contact centers and we should keep track of the threshold trends as well as our daily call volumes. 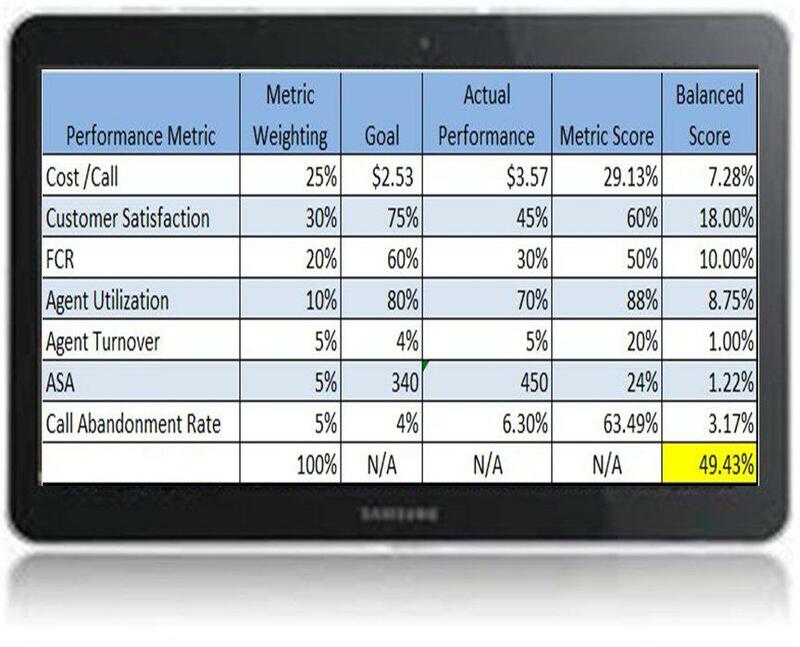 All KPI’s with threshold settings can be tracked to determine how well the agent, group or entire contact center has performed against the goals for those KPI’s. Managers are mobile and can work outside of the office. While this occurs keeping up-to-date of the contact center status and performance is difficult to do. Getting calls, text messages and emails from team leaders is not enough to be fully aware of the contact center status. In addition, productivity and performance changes occur when the boss is out of the office. This is especially true in the smaller call centers according to some of Spectrum customers. 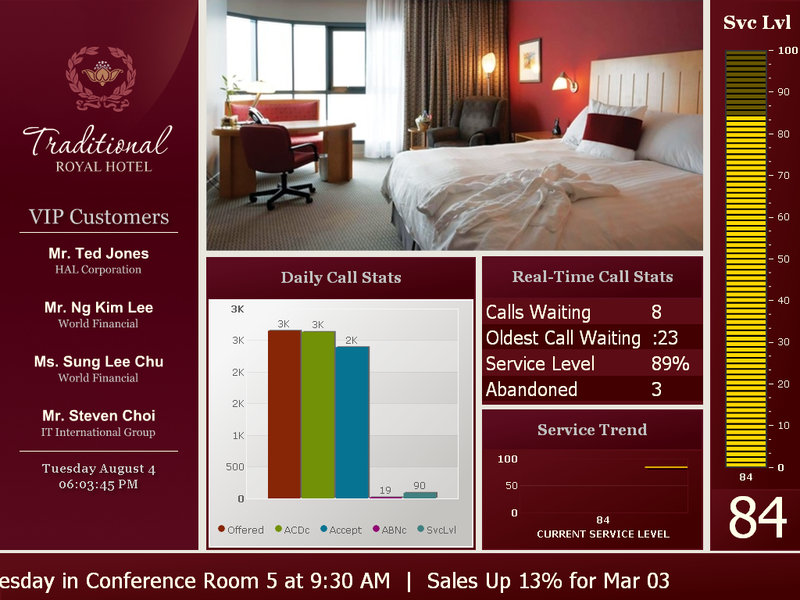 Mobile reporting to tablets and smartphones gives the manager complete real time data anytime they want that report. Managers are able to decide on the data they need or want to see. They no longer have to rely on the word of the team leaders who many times are extremely busy. The real time information will remind managers of the areas that need focus when the return to the office.